How do I buy an All Pro Cleaning Systems Franchise? 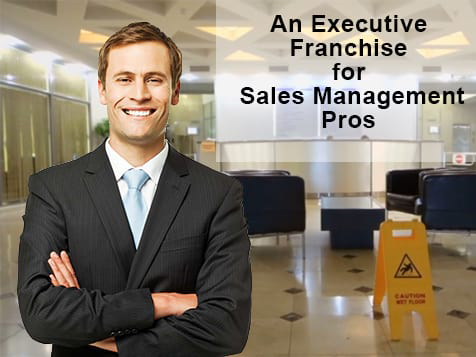 All Pro Franchising is a turnkey commercial cleaning franchise model designed to make franchise ownership easy. Buying an All Pro franchise requires a liquid capital of $75,000 and a total investment of $100,000. The benefit of the All Pro franchise model is that there is no need to invest in equipment or inventory and it has low start-up costs. No experience in cleaning necessary, owners manage contractors to do the cleaning. Our Executive Franchise model is perfect for B2B Sales Managers. Like a Master Franchise and Regional Franchise model, we offer huge exclusive territories of 1-3 million population. Use your existing Marketing, Sales & Management skills to build your dream in this Low Overhead and Fast R.O.I business, with very large earnings potential. Open All Pro Cleaning Systems in any of these available states: AL, AK, AZ, AR, CO, CT, DE, FL, GA, HI, ID, IN, IA, KS, KY, LA, ME, MA, MI, MN, MS, MO, MT, NE, NV, NH, NJ, NM, NC, ND, OH, OK, OR, PA, RI, SC, SD, TN, TX, UT, VT, WV, WI, WY, DC. Choose a career in an industry that’s booming, has a positive economic outlook and gives your business the chance to be competitive. 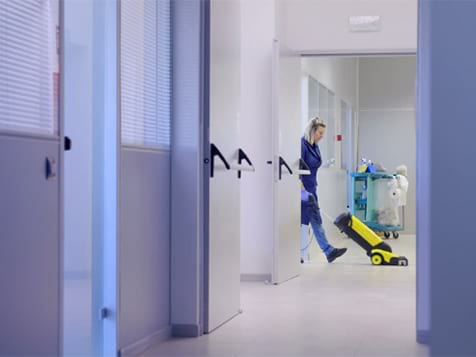 For these reasons, a commercial cleaning franchise with All Pro Franchising is one of the wisest investments you could make. One of the main reasons aspiring business owners don’t look at investing in a franchise is they are afraid of the large upfront franchise fee and royalties. All Pro Franchising International Inc. makes things easier for you because royalties are waived for the first six months, helping potential franchisees like you get off to an easier start. Low Start-Up Cost: You do not have to invest in equipment or inventory. With just a few employees, you can build a very large business in a short amount of time. Multiple Revenue Streams: All Pro's unique model gives you many different revenue streams, building cash flow quickly and enabling you to expand very fast. Quick ROI: With a proven quick start plan, you can expect to be signing and billing new customers within the first 90 days, providing a very fast breakeven and profitability, leading to very high earnings potential. Large, Exclusive Territory: All Pro offers some of the largest exclusive territories in franchising with typical population of 1-3 million people. Steady Cash Flow: Customers sign yearly contracts which provide you with repeat, monthly, recurring revenue, that is scalable, building you a large customer base very quickly. Franchise Expertise: The two founders of All Pro have 55 years of industry and franchising experience, and have helped more than 1,000 people start a successful franchise business. 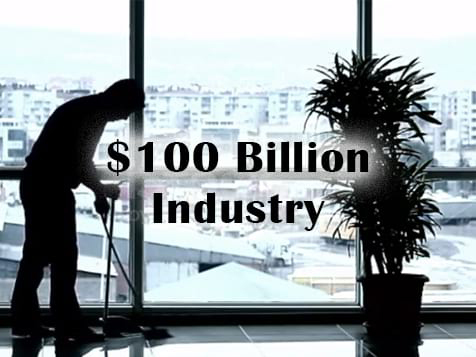 Enormous Market: The commercial cleaning industry is a $100 billion industry where every building you see is a potential customer. Affordable Investment: Your start up costs including Franchise and Territory Fees, training & travel expenses, office lease deposits, office equipment and software, advertising and working capital can be as low as $100,000 (depending on the size of your territory). All Pro offers a special veterans discount for retired servicemen and women. Honorably discharged veterans who qualify for an All Pro franchise, will receive a 10% discount off the franchise fee. Learn more about getting started and inquire to All Pro today. All Pro Cleaning Systems is not currently active in our directory, but here are some other recommended selections for you to explore.